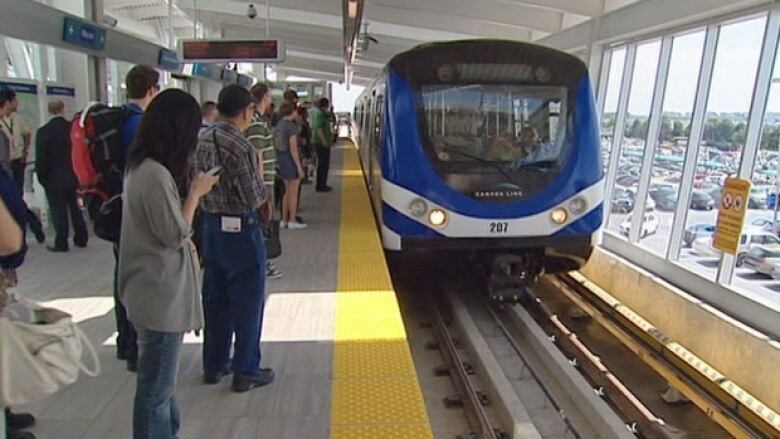 Several Metro Vancouver mayors voiced their support for a yes vote in upcoming transit referendum, on Monday morning at Vancouver's Waterfront Station. “A yes vote means more buses, better roads and more transit options all across the region," said Vancouver Mayor Gregor Robertson. "We are expecting one million more people over the next 30 years. A yes vote will reduce commute times, protect the clean air we breathe and keep people and the economy moving," said Robertson. The six mayors at the announcement downplayed questions about voters concerns about the governance of the regional transportation authority, TransLink. "This is about the mayors' plan for the region. This is not about the governance structure of TransLink," said Surrey Mayor Linda Hepner. “It’s time for communities south of the Fraser to get better access to transit and better roads. Our communities are growing fast and we need solutions,” said Hepner. Metro Vancouver residents will get their chance to vote this spring with a mail in ballot on the mayors' proposal for a 0.5 percent regional sales tax to fund the their ten year plan to upgrade the region's transportation infrastructure. Port Coquitlam Mayor Greg Moore . Langley Township Mayor Jack Froese. Langley City Mayor Ted Schaffer . West Vancouver Councillor Craig Cameron. Electoral Area A Director Maria Harris.